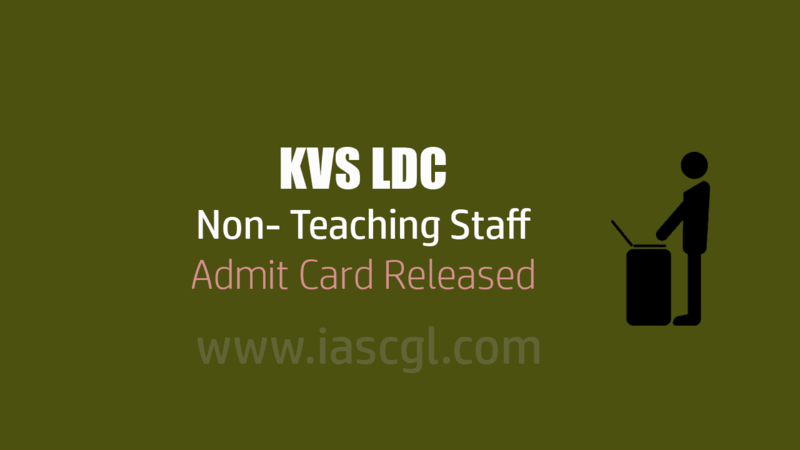 Kendriya Vidayalya Sangthan has released admit card for Non-Teaching posts. Candidate who applied for the same, can download their admit card from the official website of KVS or a direct link given below. KVS also release a online mock test link for Non-Teaching Post, that is given below. Exam is scheduled for KVS exam is from 19 to 26 February, 2018.